Hey all! Last week of session, hey? SpockSoc won’t be having any events during the exam period or holidays (because people have exams. And go on holidays) but we’ve got another jam-packed session planned for you next session. As soon as we get some jam and start packing. But first! 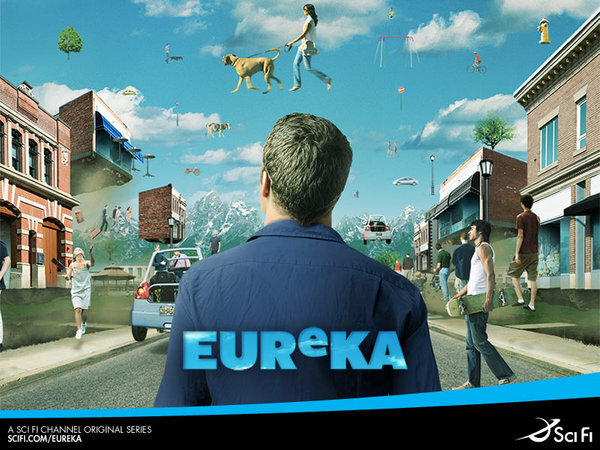 This Friday we’re showing Eureka, the last four episodes of season three. Come along even if you haven’t seen anything of Eureka – I’ll give brief character descriptions so people know who’s who. We’re finishing off the season so we can start fresh with season four next session. It’s a great series starring Colin Ferguson as Jack Carter, the average normal-joe guy who happens to be the sheriff in Eureka, a town full of geniuses. And when things go wrong around geniuses, they go wrong real bad. =) 5pm in Rex Vowels. Pizza run at 7-ish.